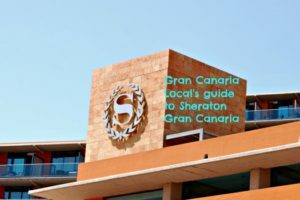 0.1 Looking for a Gran Canaria hotel? We’re resting our head in as many beds as we can to bring you unparallelled hotel reviews. Of stays at the likes of Playa del Inglés’ Riu Don Miguel. 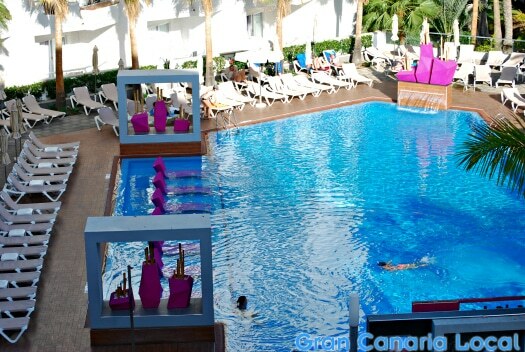 Looking for a Gran Canaria hotel? We’re resting our head in as many beds as we can to bring you unparallelled hotel reviews. 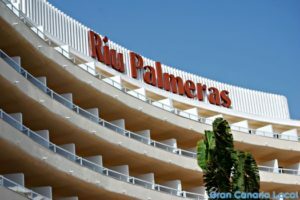 Of stays at the likes of Playa del Inglés’ Riu Don Miguel. Sticking to our tried-and-trusted formula, we’ll outline how you get to the three-star Don Miguel. Before moving on to the lowdown on their facilities and services. Ending with a summary of the food and drink options available here. Playa del Inglés is much more than a beach. 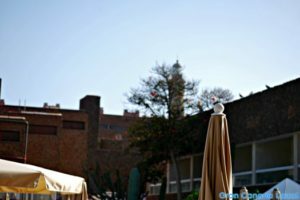 It’s Gran Canaria’s biggest resort and Don Miguel is located on one of its major thoroughfares: Avenida de Tirajana (number 30) which links San Fernando with the English(man’s) Beach. Estimated journey time’s a shade over 20 minutes by car and a little under an hour by Global bus if travelling from Gran Canaria airport. 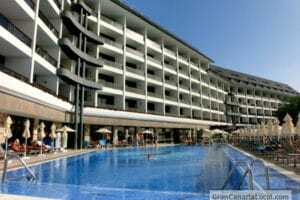 Riu Hotels & Resorts have four different categories of hotels. This one belongs to the Classic stable. An adults-only establishment, it attracts homosexual and lesbian couples as well as straight ones; no surprise given its close proximity to the rainbow-flag-waving Yumbo Centrum. There are 251 rooms. 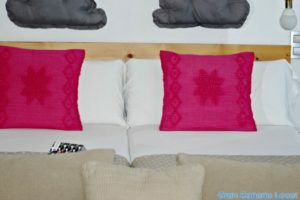 Doubles come with either two beds (100 x 200cm) or one (150 x 200cm) like the one we stayed in which lizard-like Mr Gran Canaria Local loved for its sun trap of a balcony. Four-bed suites house two rooms with either one or two beds. Considering it’s just about closer to the San Fernando end of Avenida de Tirajana, Riu lay on a free bus service to the beach. There’s a swimming pool, jacuzzi, and gym which makes the hotel light on facilities but its white-like-milk-teeth exteriors and funky purple interior design matched with a commitment to attentive service blurs the lines between three and four stars. Whilst the hotel’s exclusively 18+, it’s not an all-inclusive establishment. Scoring well on Google reviews which number in their hundreds, averaging over four out of five stars, special mention has been made of the mojitos which Mr GCL can vouch for. Guests are booked in on a half-board basis and those who don’t fancy venturing far from the pool can dig shallow for a light lunch at the snack bar. The buffet restaurant offers the usual mix of eggs-prepared-how-you-like-them for breakfast and live cooking with vegetarian options at night. Samey dinners are avoided by two themed buffets weekly and the beautiful Body’s á-la-carte restaurant which you’ll need to reserve a table at in advance. 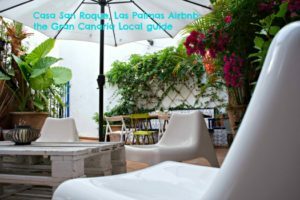 Disclaimer: Mr Gran Canaria Local stayed for free at Don Miguel in exchange for a review. Rates vary owing to a dynamic booking system. For the latest deals, visit Riu Hotels & Resorts.